Ramblin’ Jack Elliott is a national treasure. He met Woody Guthrie in 1950, moved in with the Guthrie family, and traveled with Woody from the redwood forests of California to the Gulf Stream waters of Florida. His deep immersion in Woody’s music led Woody to remark, “Jack sounds more like me than I do.” Bob Dylan describes him this way in his Chronicles: Volume One: “His tone of voice is sharp, focused, and piercing. All that and he plays the guitar effortlessly in a fluid flat-picking perfected style . . . Most folk musicians waited for you to come to them. Jack went out and grabbed you.” He won the Grammy for Best Traditional Folk Album in 1995 and the Grammy for Best Traditional Blues Album in 2009. He won the National Medal of the Arts along the way. Here’s how Johnny Cash introduced him on his TV show back in the day: “Nobody I know – and I mean nobody – has covered more ground and made more friends and sung more songs than the fellow you're about to meet right now. He's got a song and a friend for every mile behind him. 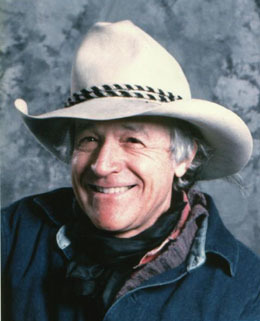 Say hello to my good buddy, Ramblin’ Jack Elliott.” Tonight is your chance to say hello to Ramblin’ Jack. David Berkeley plays polished, folk-inflected pop with clever lyrics and a bright, shimmering sound. According to the New York Times, he “sings in a lustrous melancholy voice with shades of Tim Buckley and Nick Drake.” The Boston Globe praises his “emotional story-telling lyrics, charismatic stage presence, and hilarious anecdotes,” and the San Francisco Chronicle calls him a “musical poet.” He has released five albums, including his latest, Some Kind of Cure, recorded in Corsica, and appeared on World Café, Mountain Stage, and This American Life. ASCAP honored him with its prestigious Johnny Mercer Songwriter Award. “Your heart is like a parachute,” he sings, “it opens when you’re falling down.” Not to mention that he was named for the City of Berkeley, where his parents lived before he was born – and now he lives here too.